More than a medical system Ayurveda is a way of life that emphasizes prevention over cure. 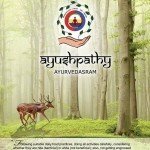 Ayurveda balances and rejuvenates our organism, reducing its susceptibility to disease and empowering its immunity to prevent diseases from developing. Traditionally, it is said in Ayurveda that ‘treatment gets more effective in natural conditions’, So we have taken care to locate our facility in the serene ambience of natural surroundings but it also not far from the city limits which are easily reachable. Ayurvedic treatment experience over several generations. You will get all the in formations on Ayushpathy from our website regarding the facilities available, and the treatments done . If you feel it is the right place for you and you decide to come to our ashram, you can sent us an email about your complaints, the possible dates you can come, and the proposed duration of your stay. Generally, we advise a minimum of 2 weeks’ course of treatment for most complaints so the most essential and relevant treatments can be done. However, we also have different packages for 5 or 7 days, etc., if you haven’t enough time for a longer stay. After receiving your email we will inform you of our availability and other details. You can then book the room according to your convenience. For outpatient consultation, you can call our office number or call directly to the doctor’s personal number and confirm the doctor’s availability. © 2019 Ayushpathy; All rights reserved.